Explore North Adelaide’s many heritage homes which are as varied as the materials from which they are built. The houses in this tour are significant examples of some of the earliest residential structures found in Adelaide. Highlights include Brougham House, erected in 1881 and now part of Lincoln College of The University of Adelaide, as well as Taylor House, built around 1908-09 and later purchased by the Adelaide Children’s Hospital. 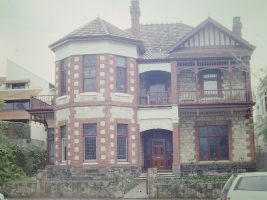 Other sites include St Margaret’s, built in the 1890s whose porch is reported to have connections with Greece, and Buffalo Cottage, the home of the Private Secretary to Governor Hindmarsh, South Australia’s first Governor. Generally these buildings have to be enjoyed from outside as they are private residences and businesses and closed for public viewing.